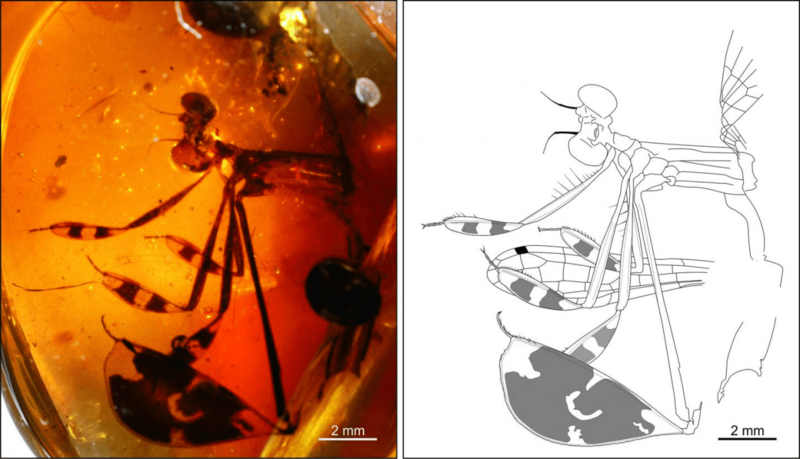 Courtship behaviours, frequent among modern insects, have left extremely rare fossil traces. In odonates, the male must persuade the female to mate in tandem and the female should be willing to engage her genitalia with the male’s. Many territorial odonatans display their courtship by high-frequency wing-beats towards an approaching female. Most courtship, mating and parenting (social-sexual) behaviour cannot be preserved and fossil reports are few and ambiguous. No courtship behavious were previously recorded for fossil odonatans.